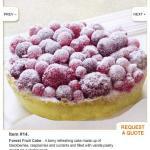 We at creative desserts hope you get a virtual taste of our latest and greatest creations through our website! We hope to offer our loyal customers and first-time guests the best in quality, service and customer satisfaction through our store and online service. Please browse our selection and feel free to contact us with any special requests, orders and questions. We are always ready, eager, and happy to create your creative desserts dreams and desires. 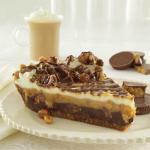 If you are not sure where to start, take a look at our featured desserts!